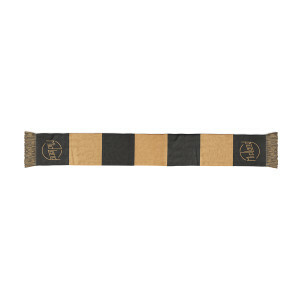 Cream and grey fringe striped scarf featuring Midland logo on both ends. I love it! However, the color stated is not exactly true. 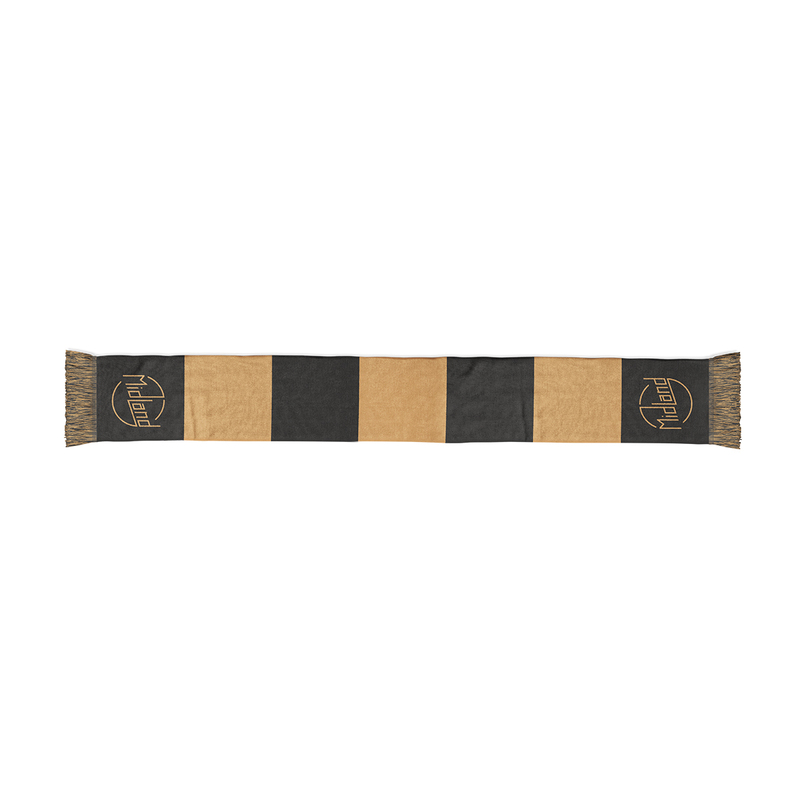 It is closer to a muted yellow and black. But, again, I do like it and was pleased with the customer service.